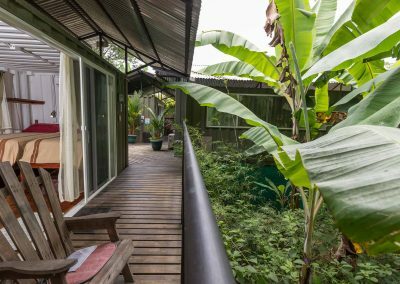 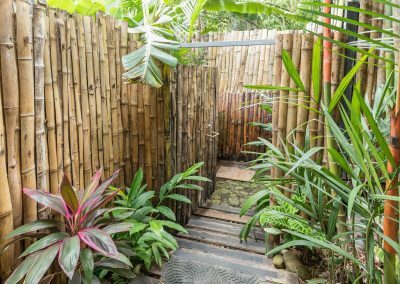 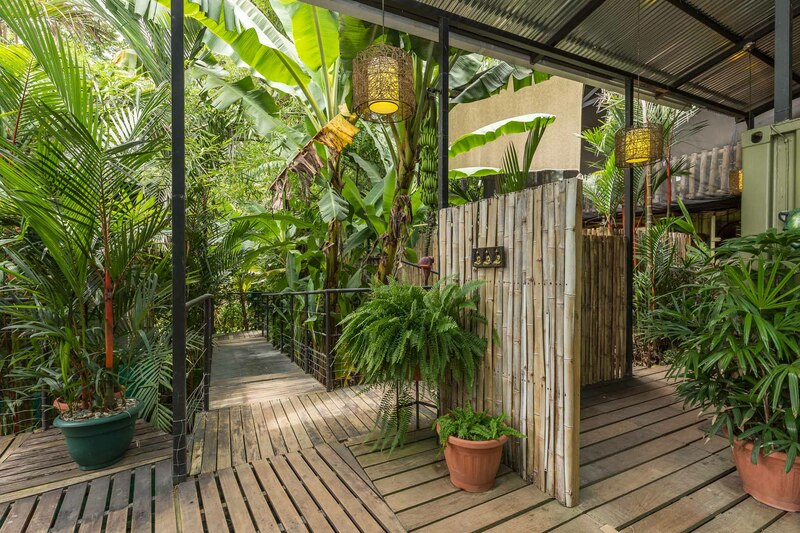 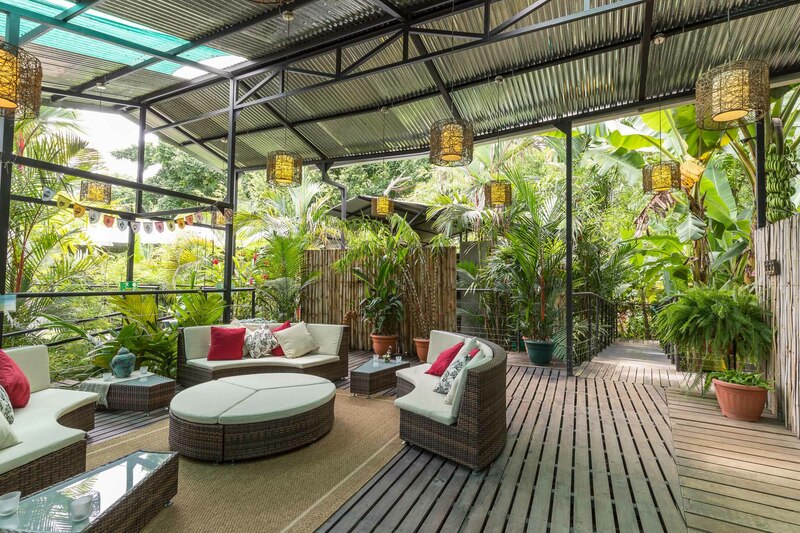 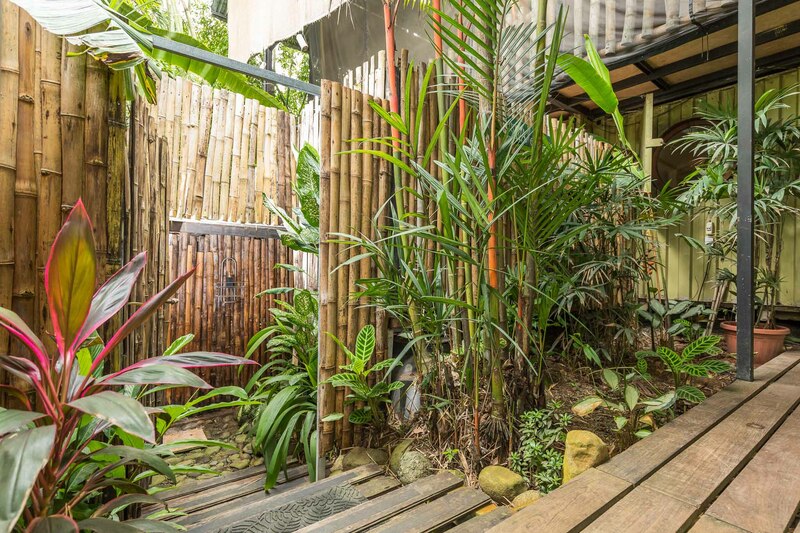 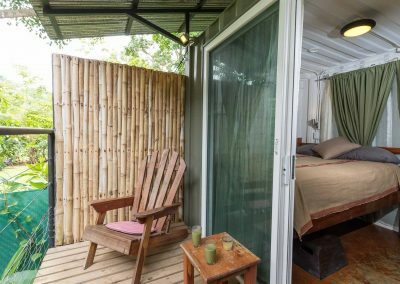 We offer an intimate eco-accommodation experience here at Danyasa Eco-Retreat, with twelve rooms in total for rent. 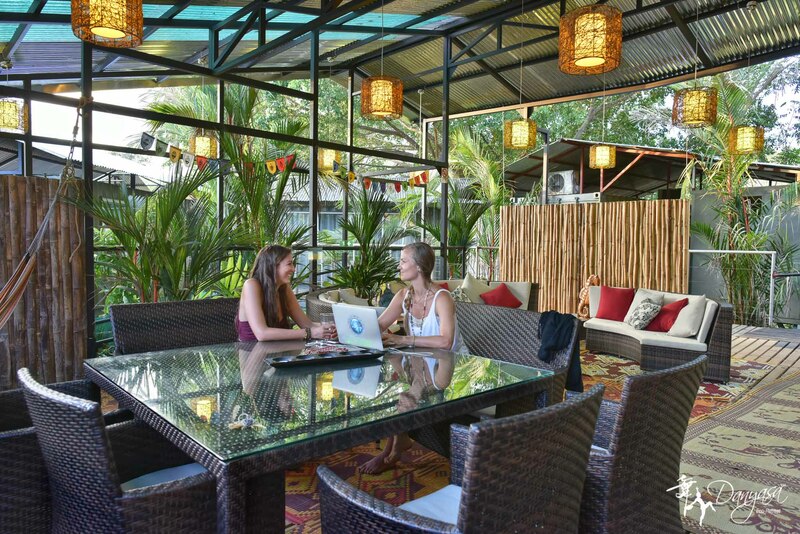 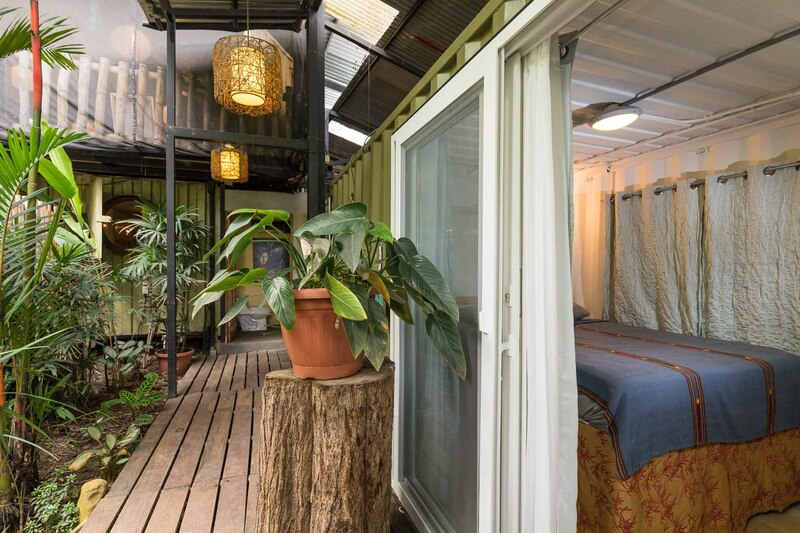 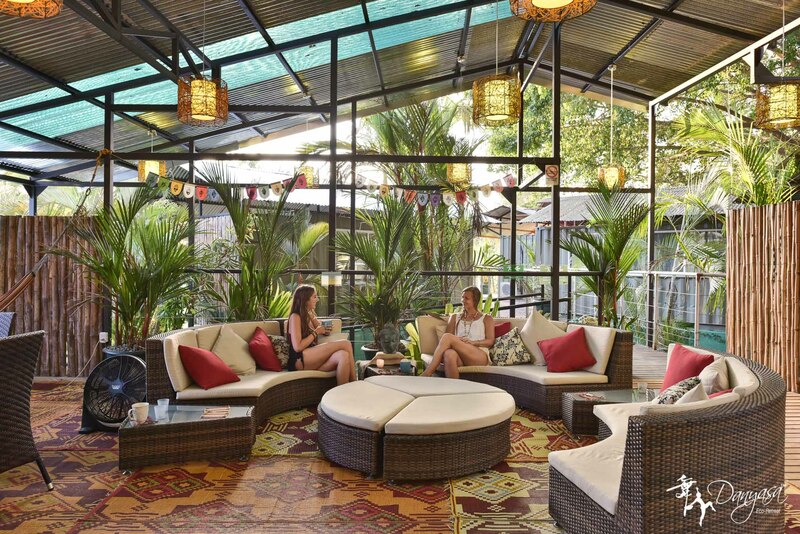 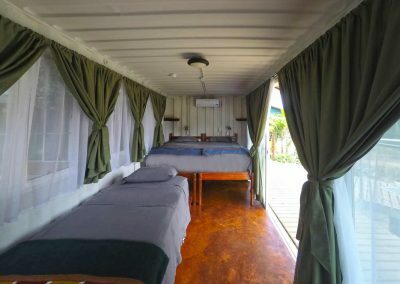 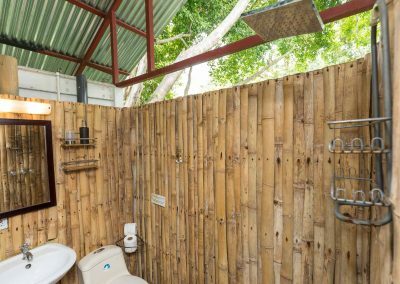 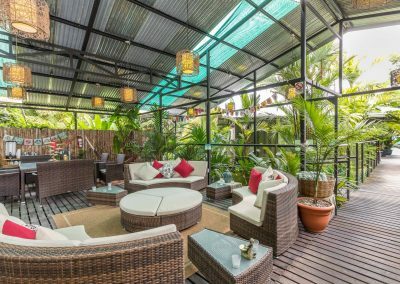 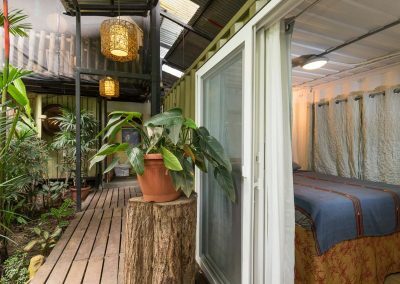 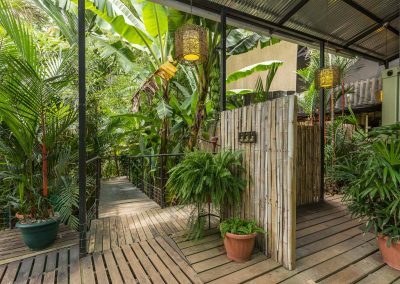 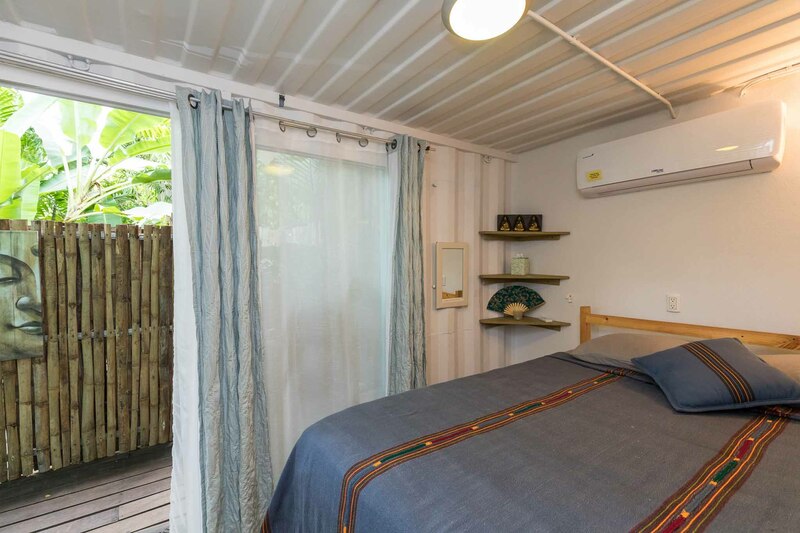 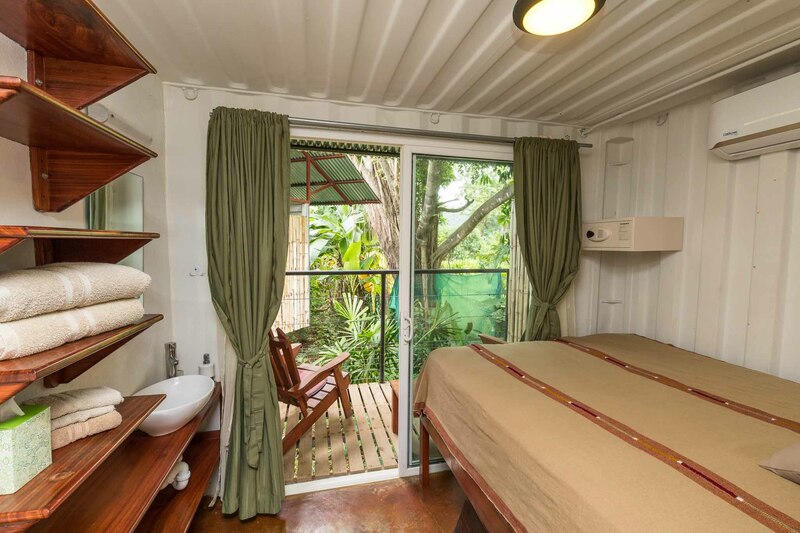 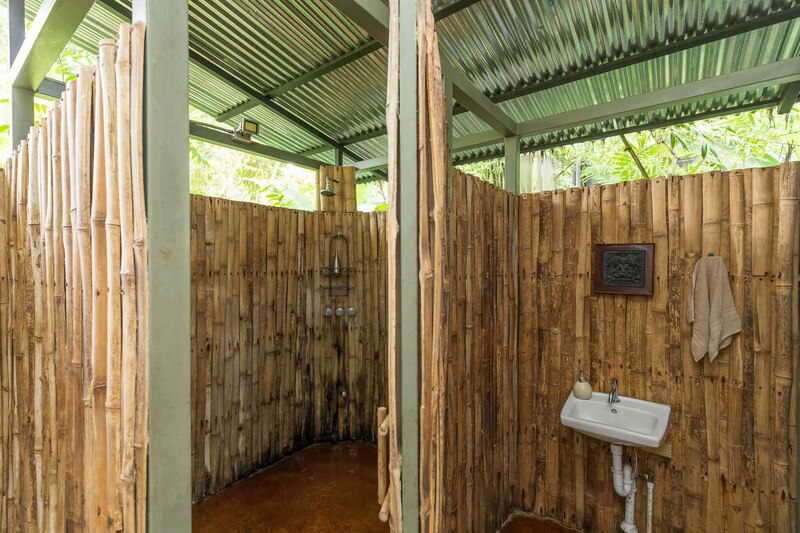 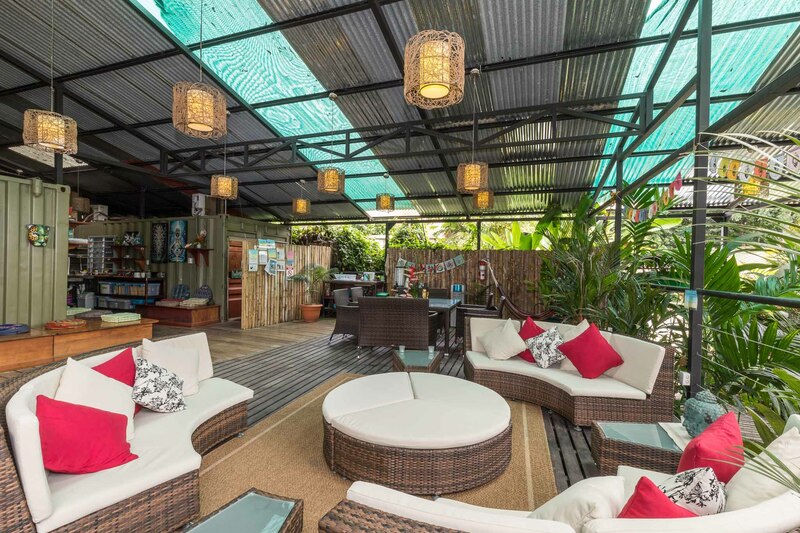 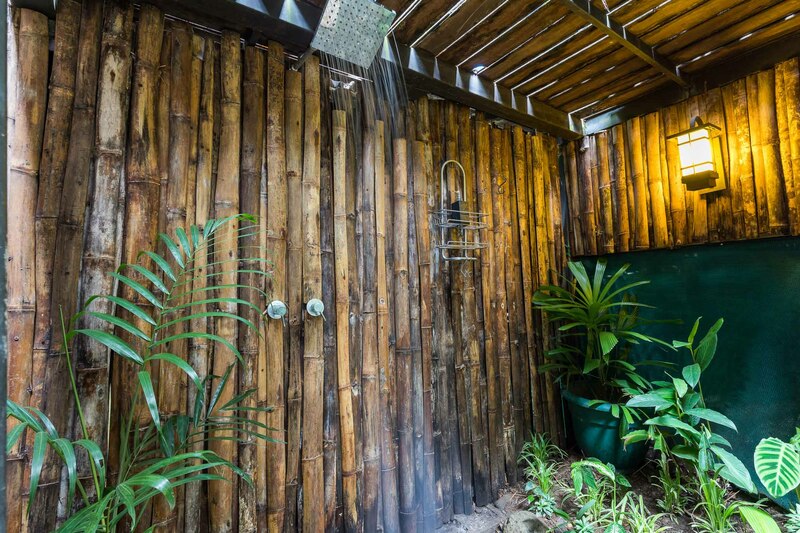 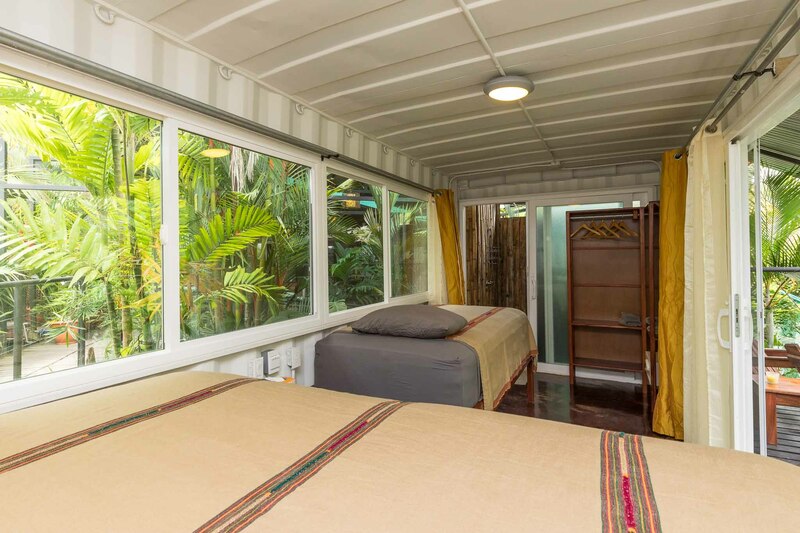 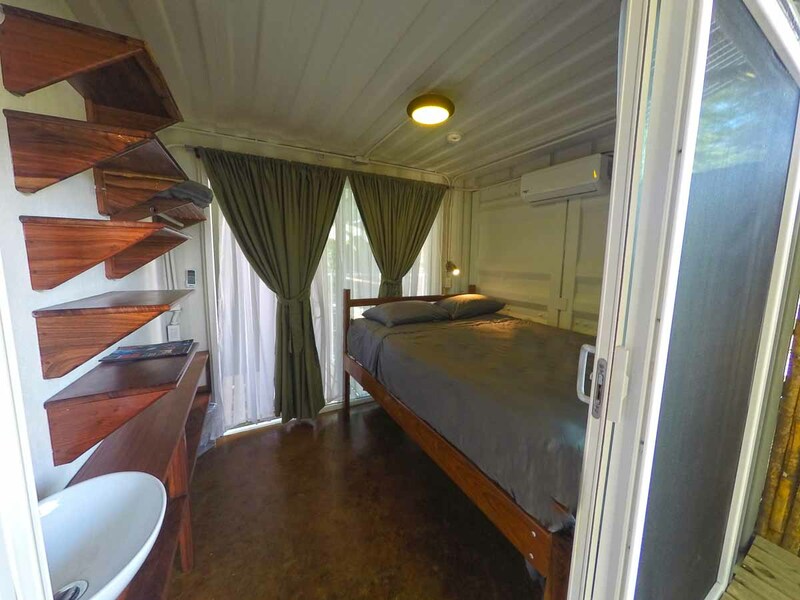 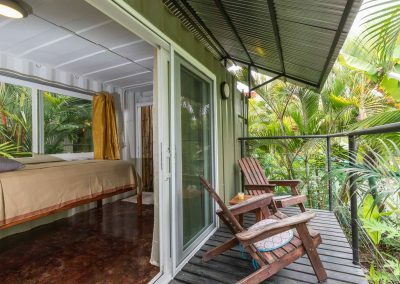 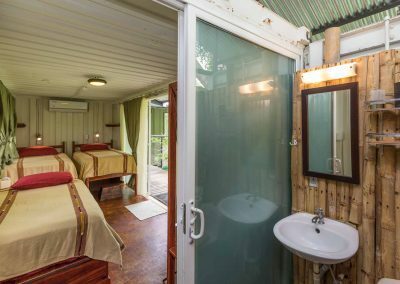 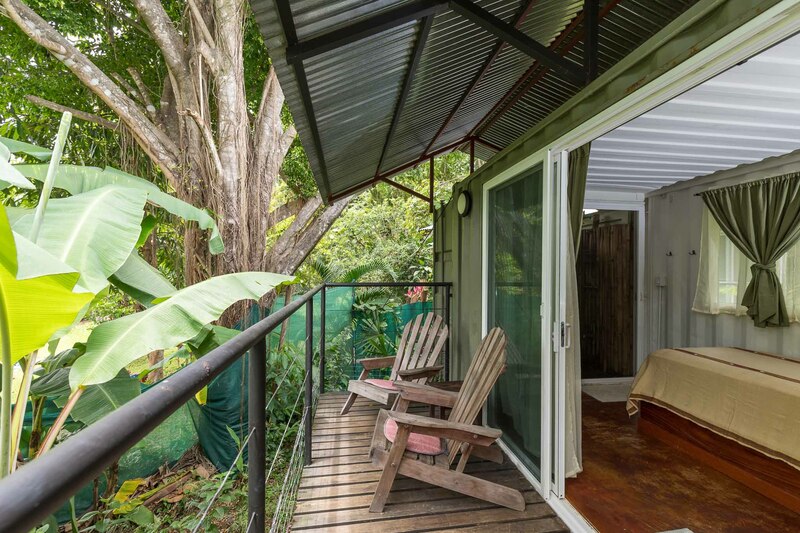 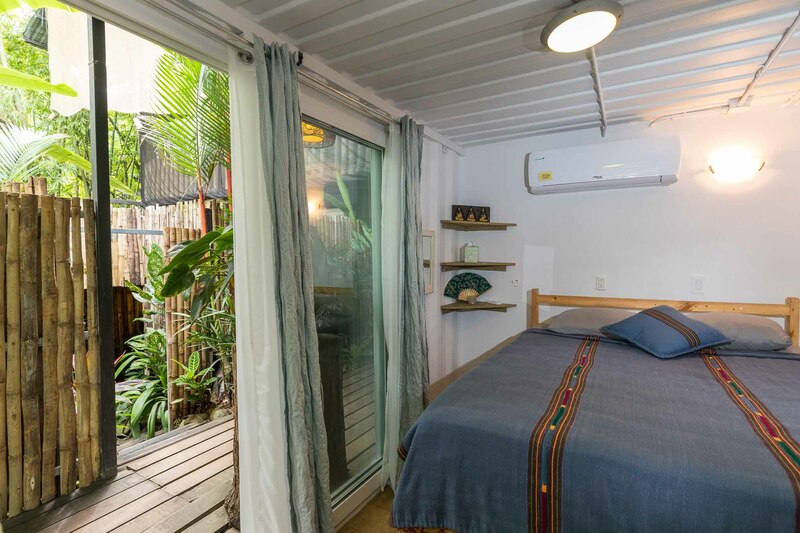 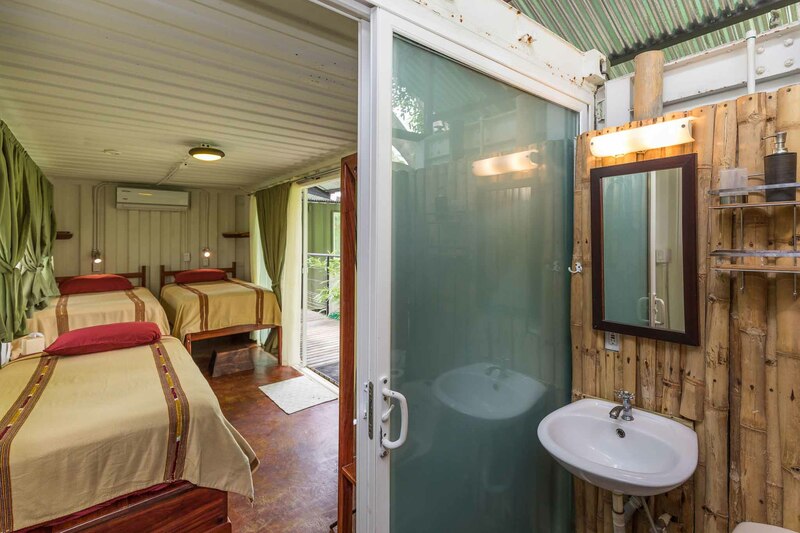 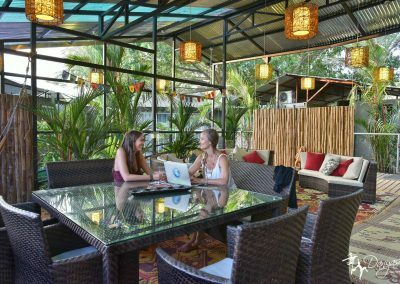 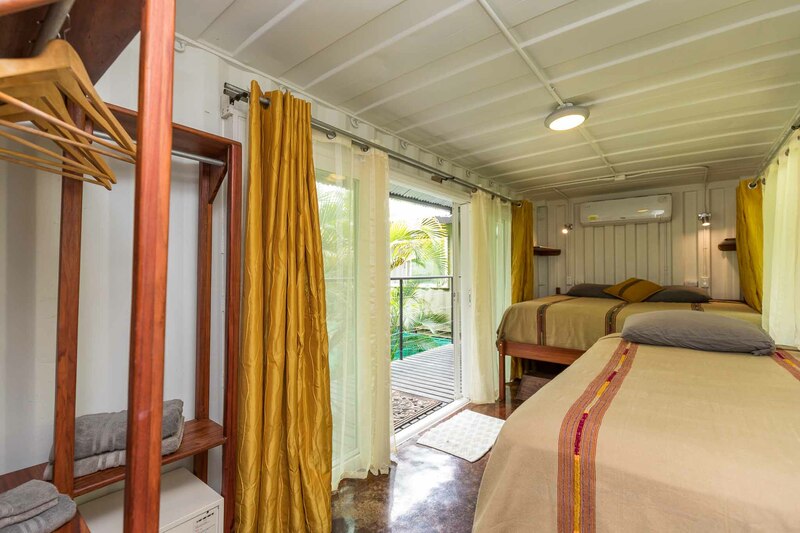 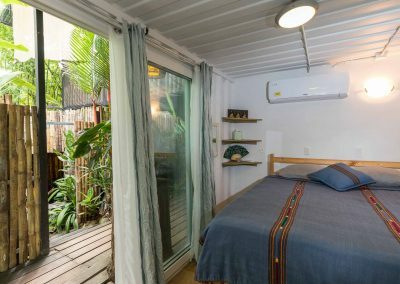 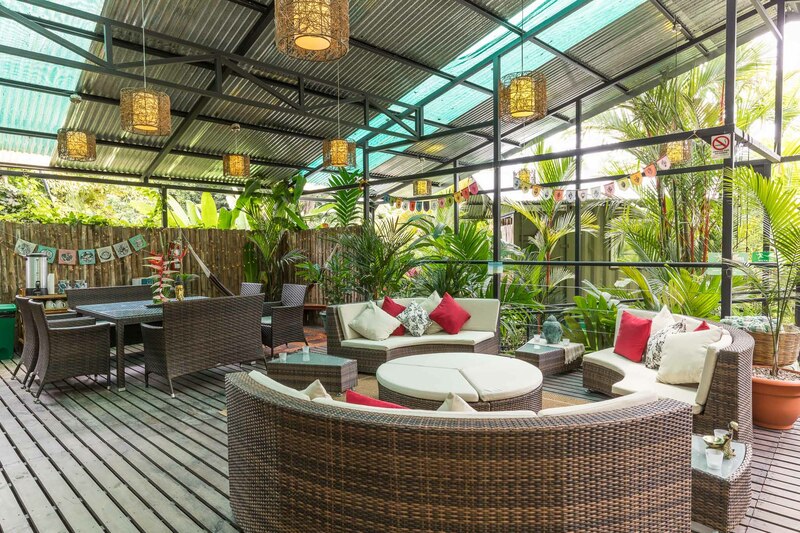 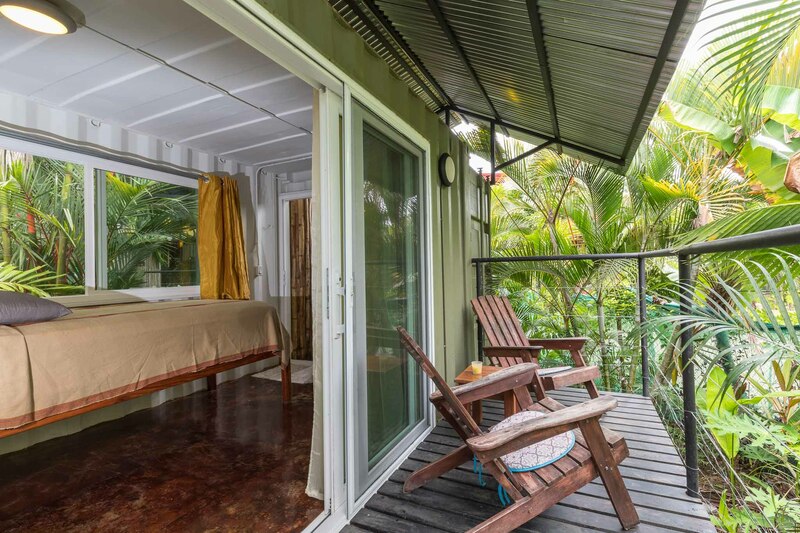 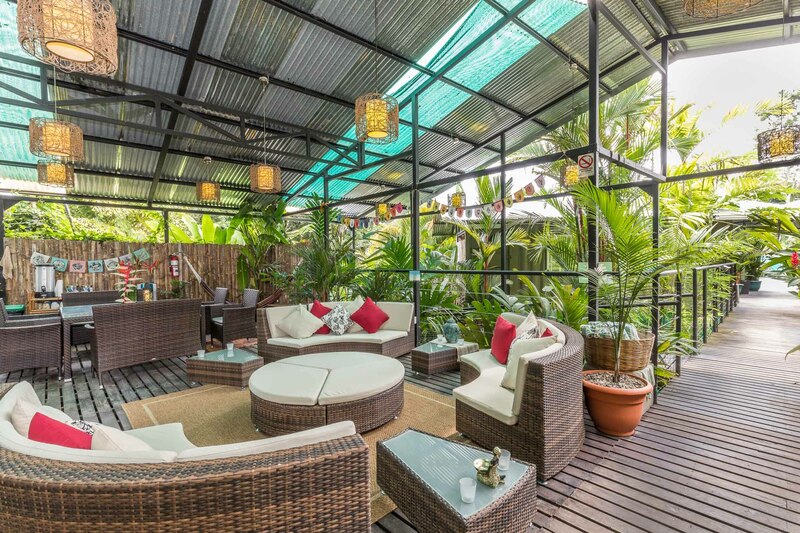 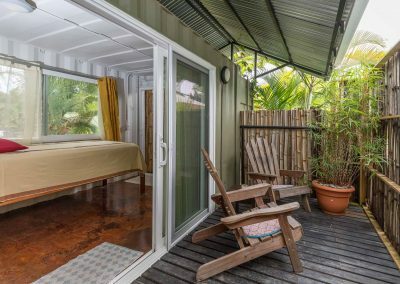 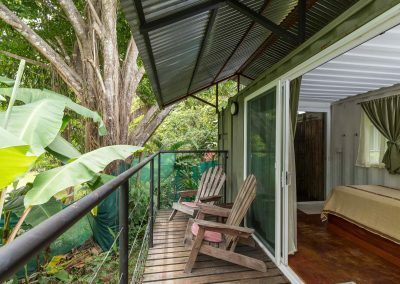 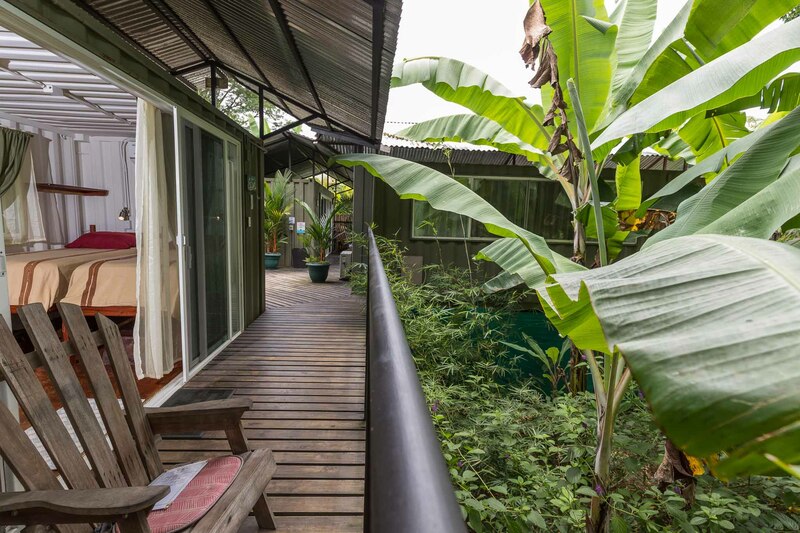 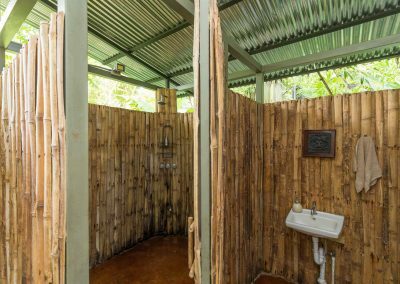 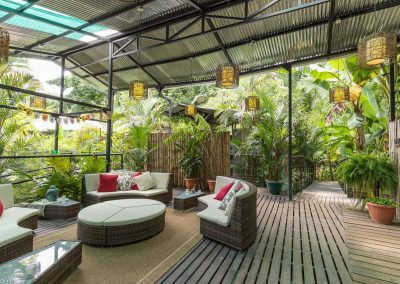 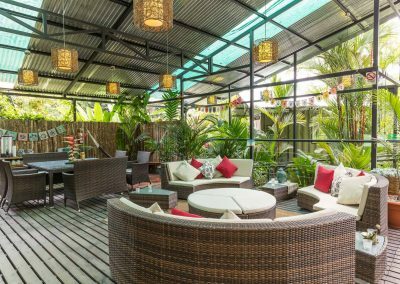 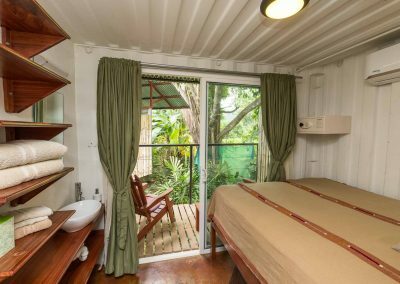 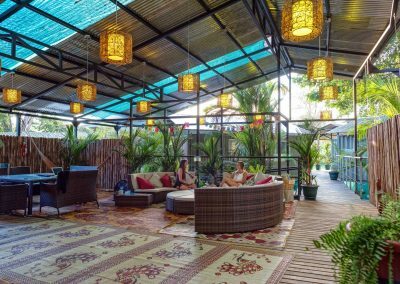 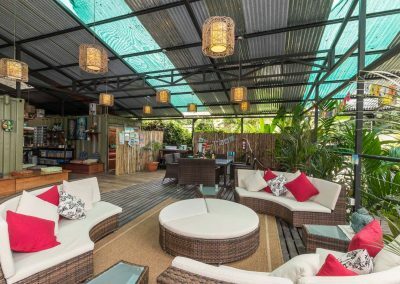 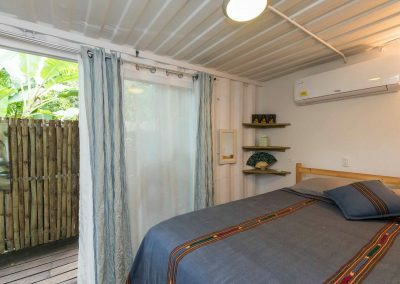 Our rooms represent the height of eco-friendliness because we created them out of beautifully refurbished (up-cycled) cargo containers, which were no longer seaworthy and technically “waste”. 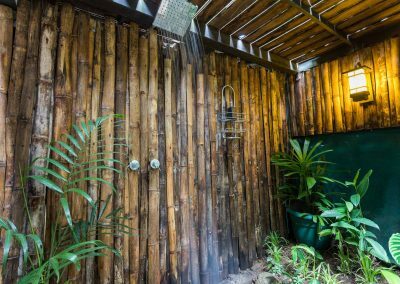 We use only the most eco-friendly soaps, detergents and cleaning products, as well as energy efficient lighting and appliances. 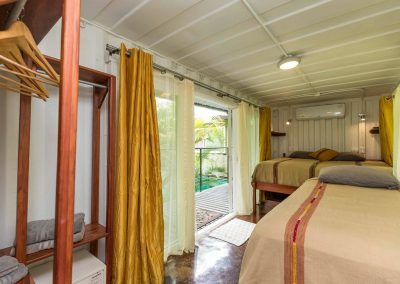 All our rooms have top quality mattresses, 1500 thread count sheets, air conditioning, WiFi and access to free filtered water. 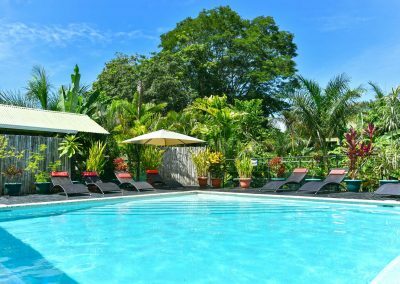 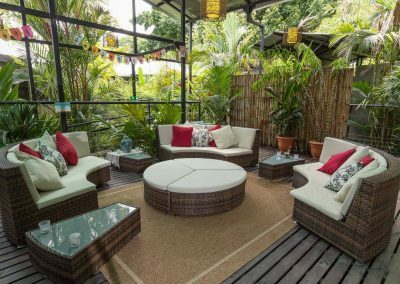 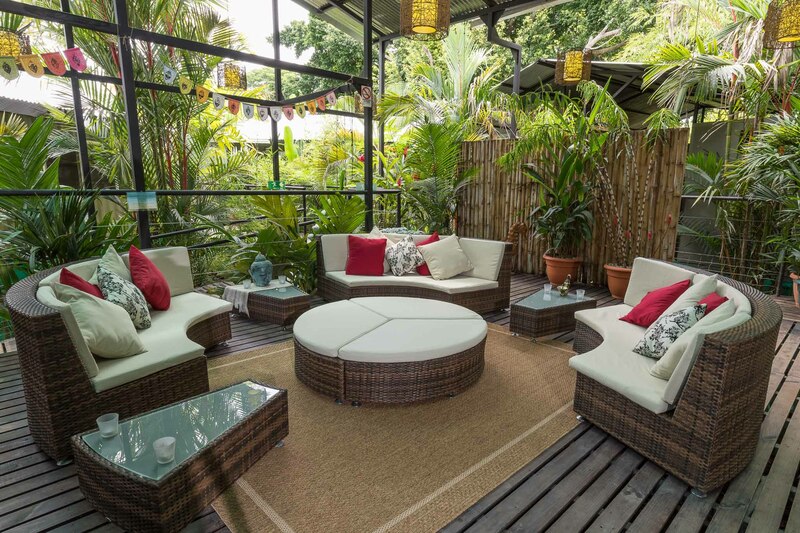 Guests also have use of a sun deck, swimming pool and lounge areas. 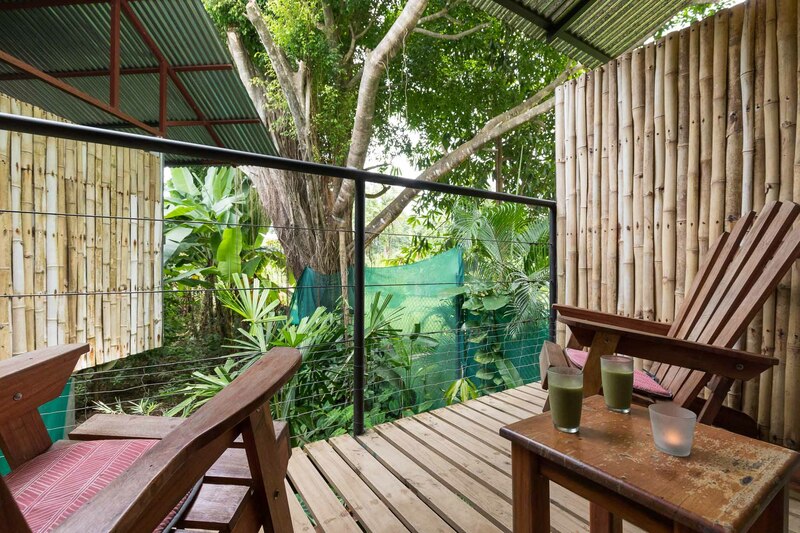 Organic breakfast is served daily from 8:00am – 10:00am and is included in the price of the reservation. 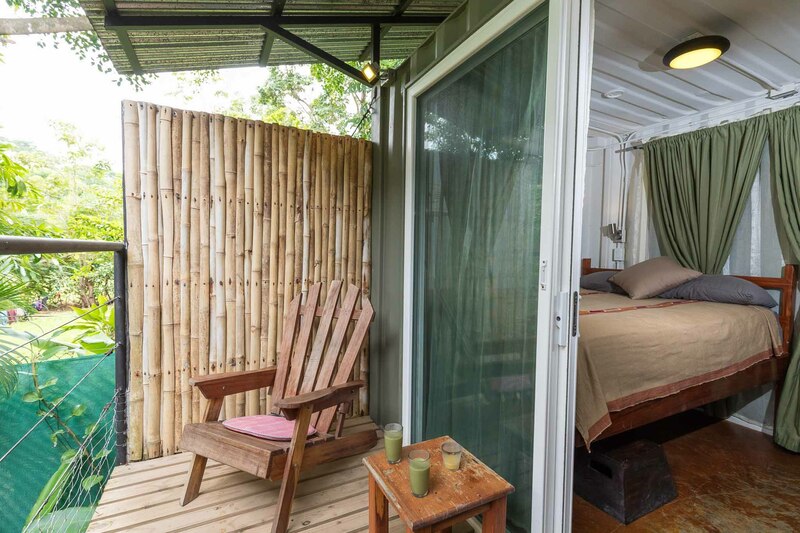 SPECIAL GREEN SEASON OFFER: Book 3 nights between May 1 and October 30 and get a 4th night free. 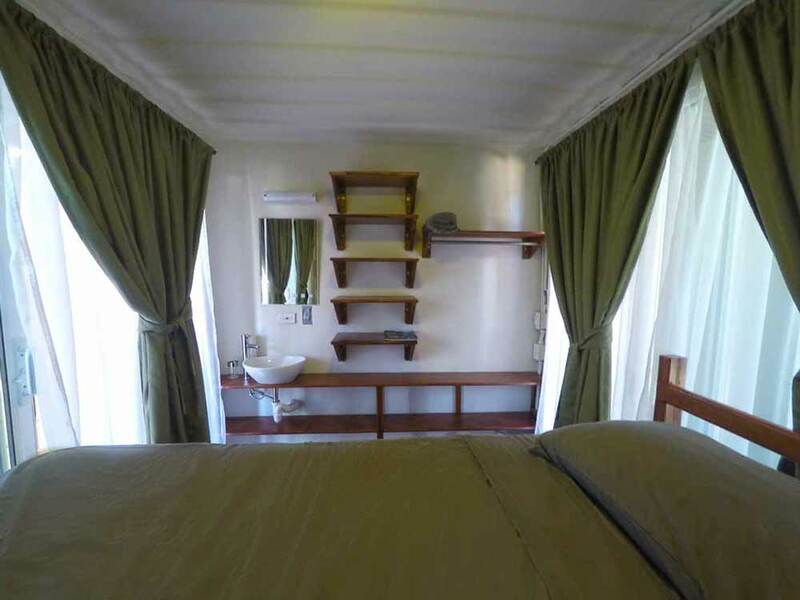 ** Please note that there is an additional fee of $10 per night for a third person in a room. 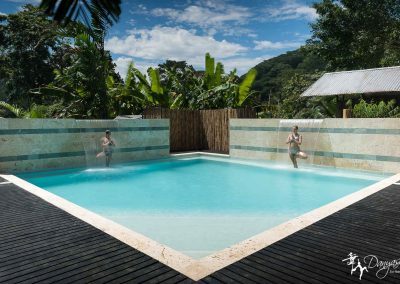 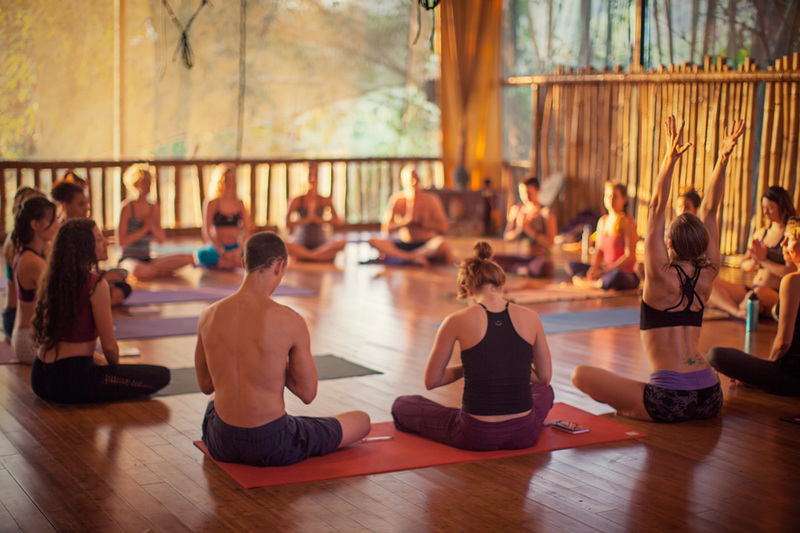 If you would like a personalized Yoga and Surf Retreat, begin by selecting your accommodations. 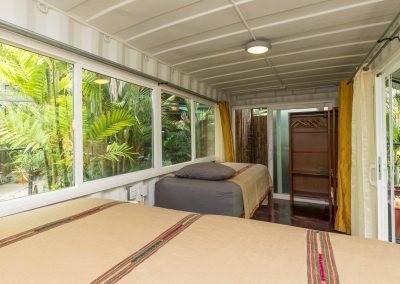 You can choose to add surf and yoga options during checkout. 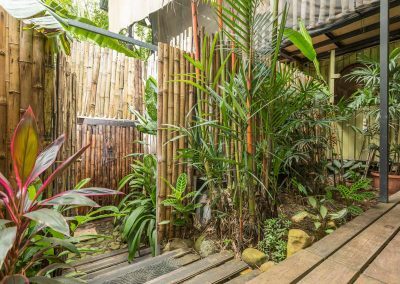 We are proud ambassadors for Community Carbon Trees Association, who plant and protect trees for life. 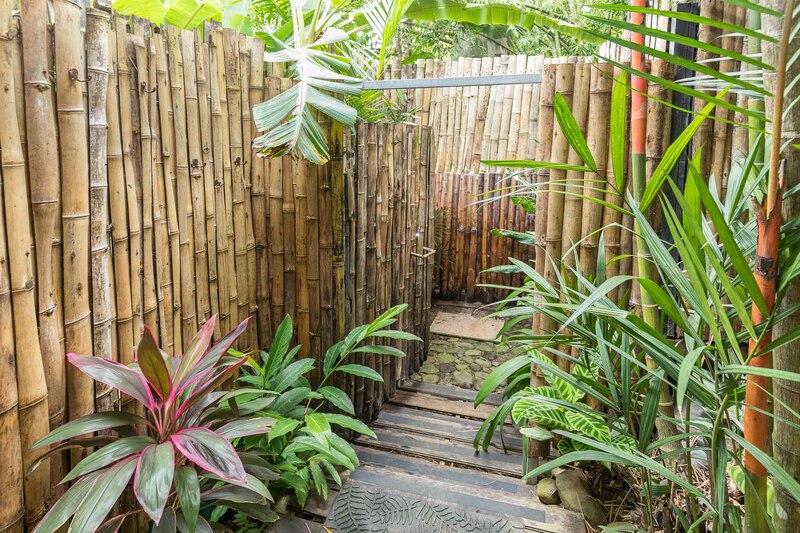 We invite you to sponsor a tree during checkout to help offset your travel carbon footprint. 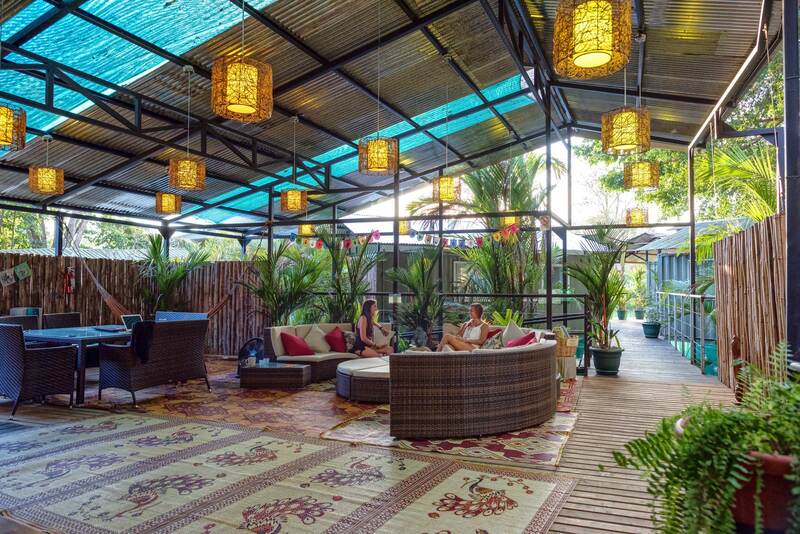 We will be renovating our studio floor from May 18 until June 8. 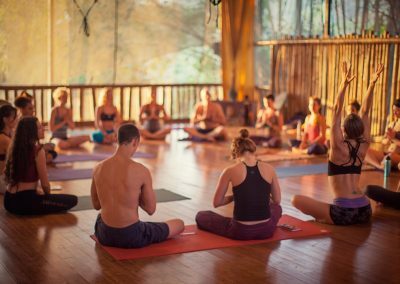 We will not be offering yoga or breakfast during these dates. 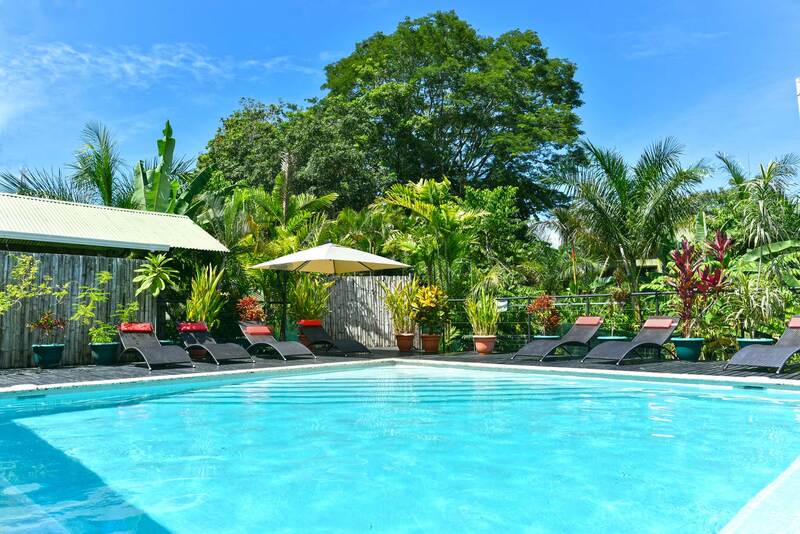 There will also be some construction noise, although it will hopefully not be bothersome by the pool and the rooms. 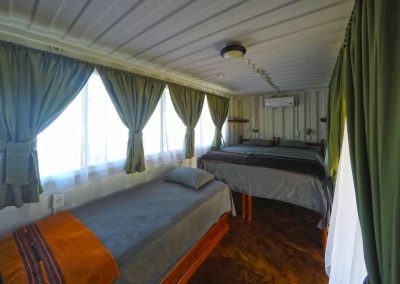 We will be offering a 30% discount on rooms during these dates. 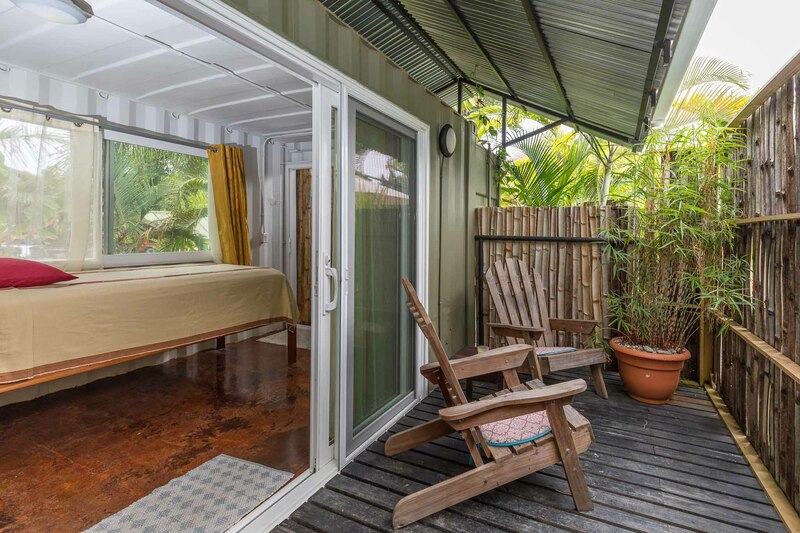 You can get the discount using the promo code FLOORFIX. 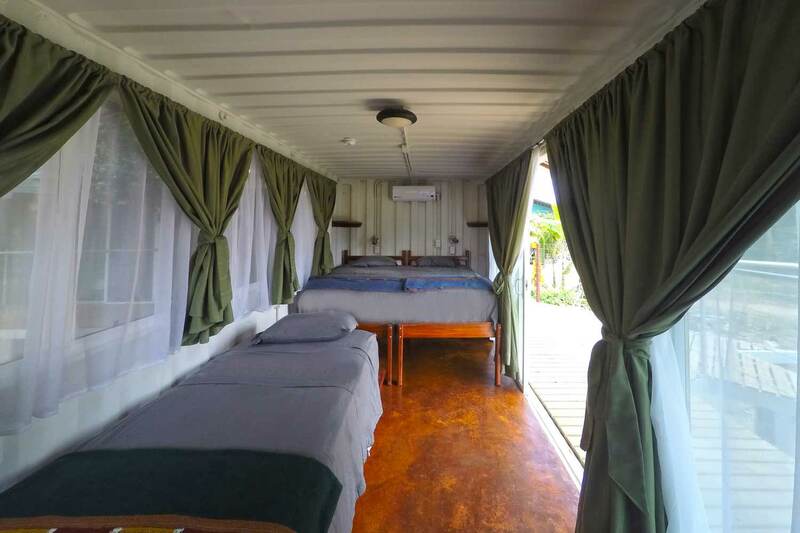 Reservations are considered confirmed upon receipt of payment. Payment is fully refundable up to 30 days prior to start date of reservation. 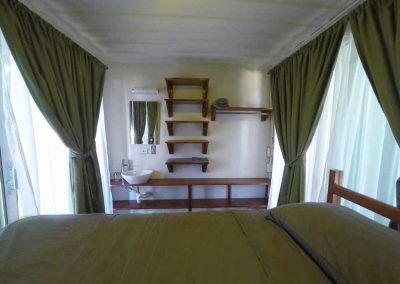 Payment is non-refundable within 30 days prior to start date of reservation.